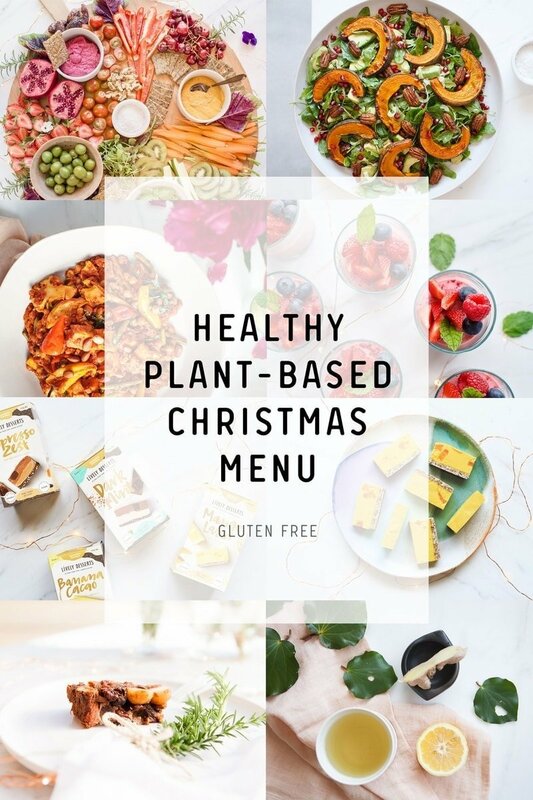 A done-for-you Healthy Plant-Based Christmas Menu that is nutrient dense and delicious. All recipes are gluten free. We are just over two weeks away from Christmas! Holy moly how did that happen. Less push, more flow has been my mantra as we slide into another year’s end. 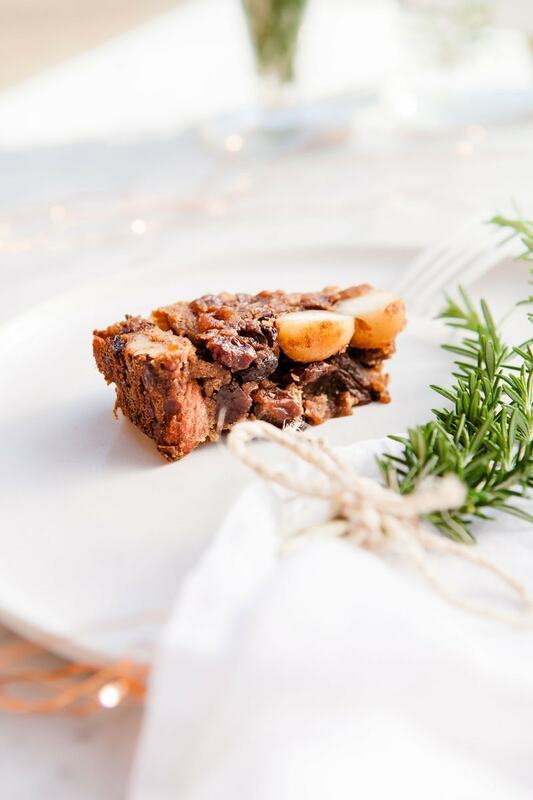 In the name of taking a little stress out of the equation, I have a done-for-you Christmas menu to share, and, I think I’ll make this an annual post, if you like? 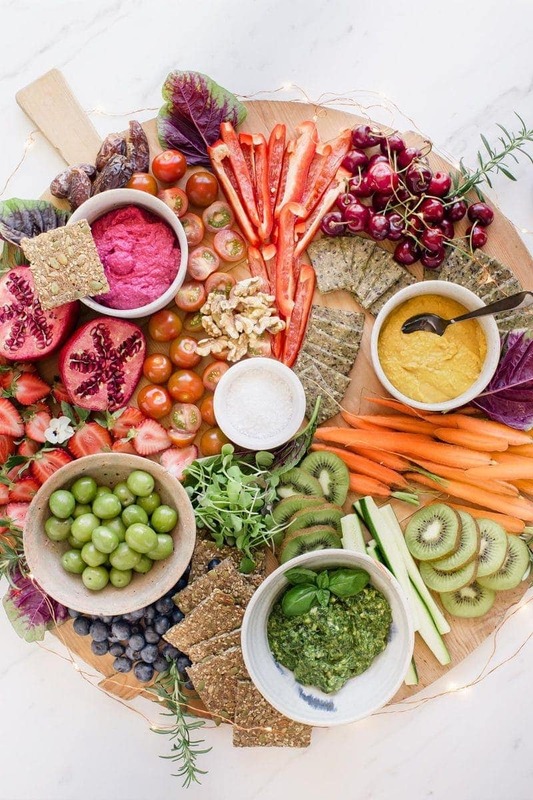 Entirely plant-based and gluten-free, this platter is packed full of fresh raw fruits and vegetables (beneficial phytonutrients galore! ), a couple of flavoursome, contrasting dips, crackers and more. This is the centrepiece of good conversation and a great way to start your Christmas lunch or dinner. This salad is a feast for the eyes and is quick and easy to prepare. 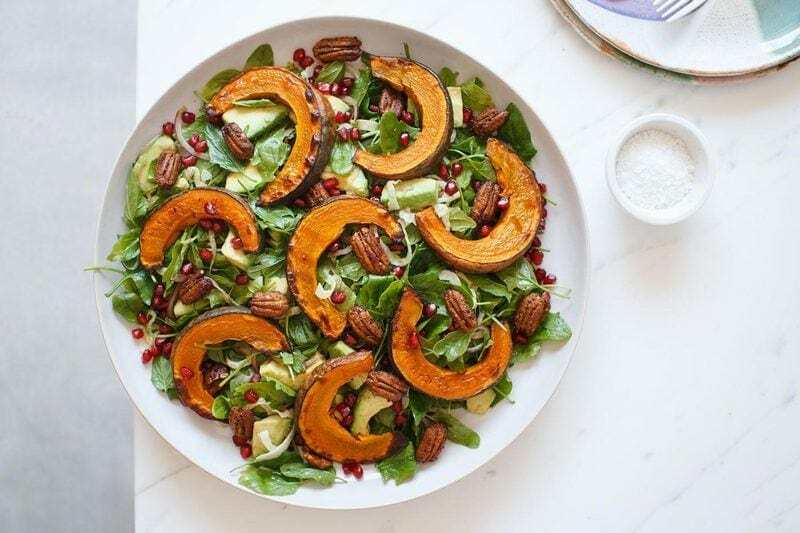 The rocket is a bitter green to stimulate digestion, the squash is packed full of carotenoids, and the pomegranate are rich in vitamin C and polyphenols. The main course! 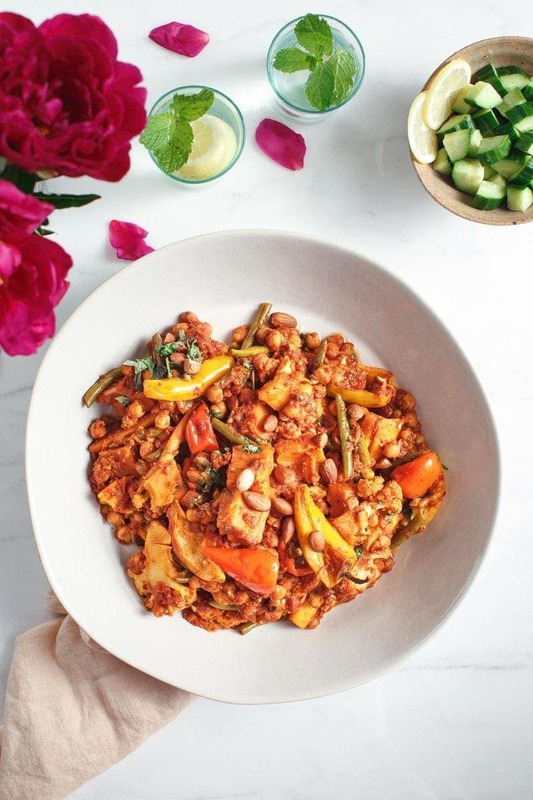 This Moroccan dish is soft and juicy and beautifully spiced. Chickpeas provide some plant-protein, the vegetables of course contribute to the 10 servings a day of fruit +vege that are optimal for disease prevention (yes, 10! ), the lycopene in the tomato sauce is a potent antioxidant and the warming spices promote digestion. 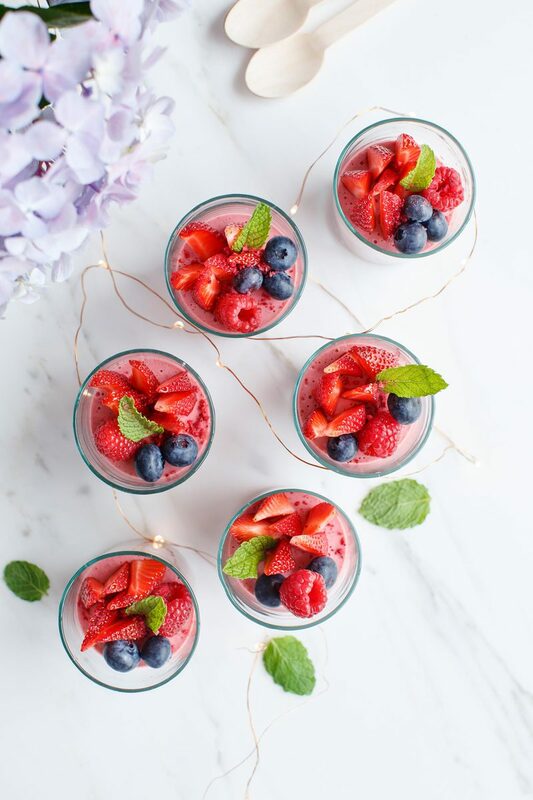 Something light and sweet to cleanse the palate after that lush meal. 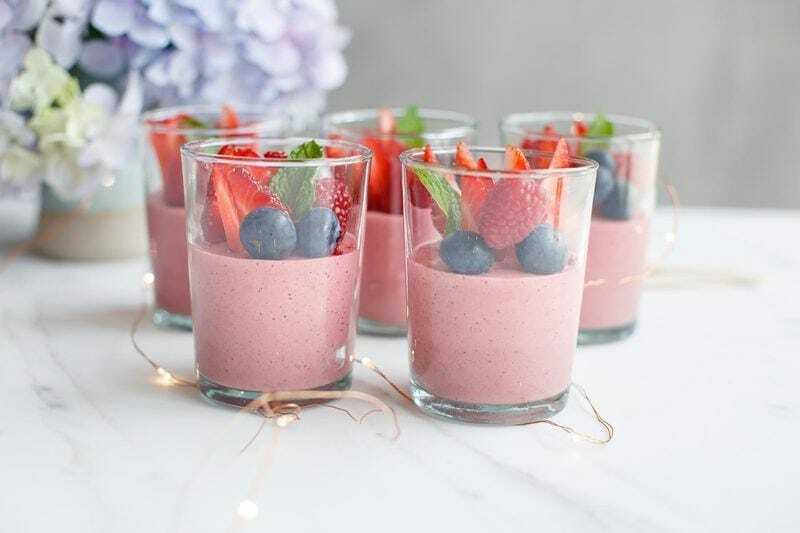 These strawberry mousse cups are whipped up in no time and can be made the day before. Packed full of antioxidants. The ultimate dessert! Yes yes, we all know I’m being biased here, but really, these are perfect to share with the fam. And, of course – they’re ready made! No cooking! Just let them thaw for a good 20 minutes or more, slice them and arrange on a platter. If you haven’t tried them yet, these are a cross between an ice cream and a cake. They’re entirely vegan, made with organic ingredients. 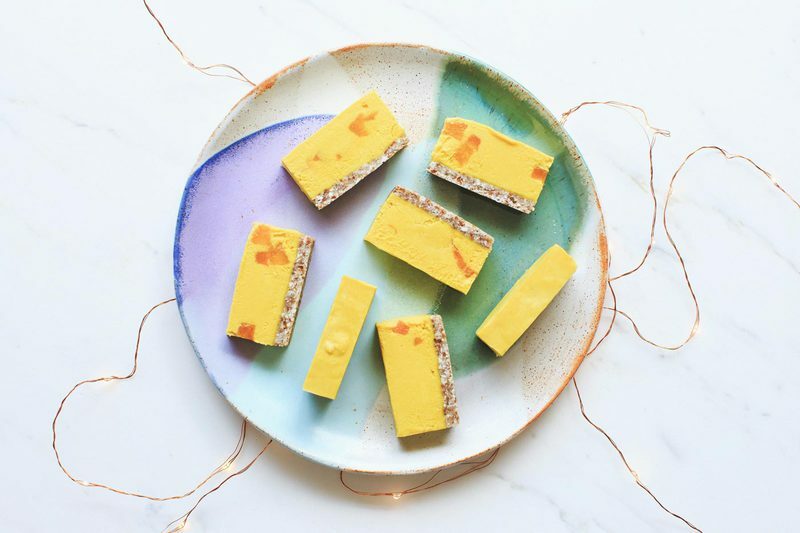 They’ve been designed to cater to those with food sensitives and intolerances – and are made without wheat, gluten, dairy, eggs, sugar, nuts or other nasties. 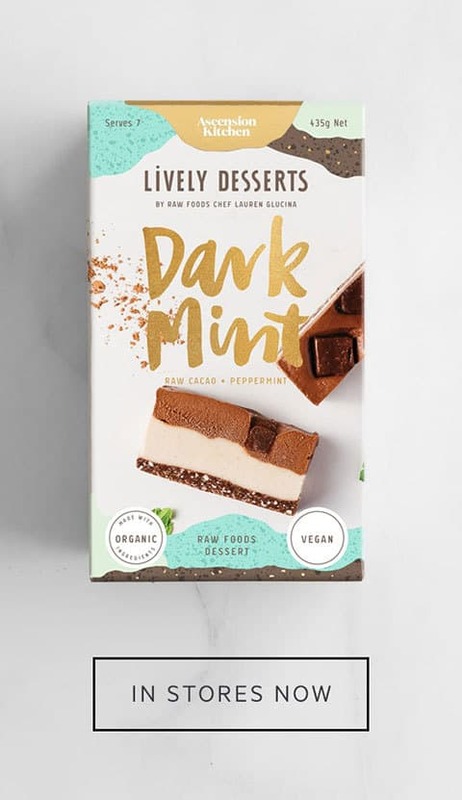 You’ll find them in the freezer of select stores across New Zealand, Sydney and Melbourne (yes! We’ve launched in Aus!). Each dessert serves 7 – so you only need one to cater to a large family. 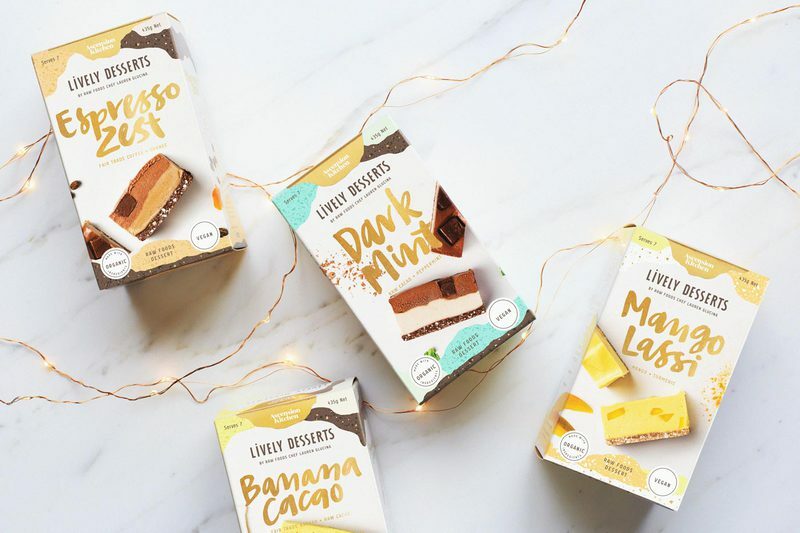 Full list of LIVELY™ Desserts stockists here. Another Christmas classic. This recipe has been shamelessly pilfered from Nana – but don’t the oldies always have the best fruit cake recipes? Luckily for us – Nana has been tweaking this recipe over the years to accommodate our varied dietary needs. No gluten, no added sugar (and no nasty glacé cherries), no butter or eggs. Warning – it is a little boozy! A small slice with a cup of tea is the ideal way to finish the spread. By now, you’ve probably acquired quite the food baby. 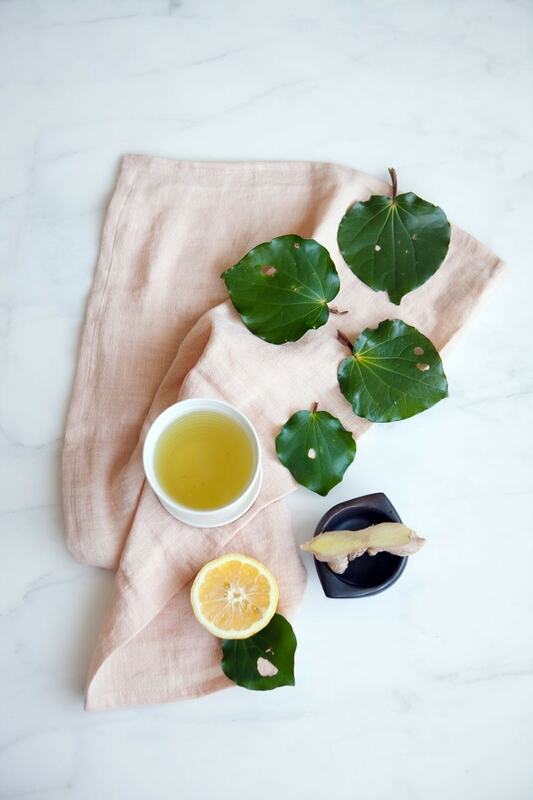 How does a soothing cup of kawakawa and ginger tea sound? Kawakawa is a New Zealand native herb, you can harvest the leaves yourself or purchase the loose leaf tea. 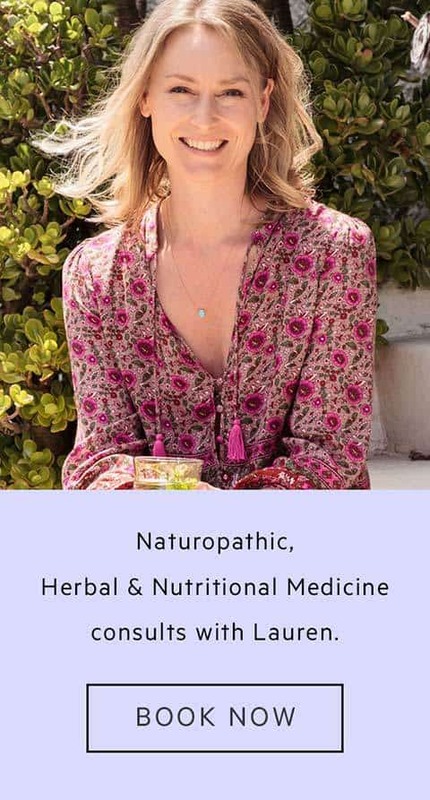 It is a highly regarded digestive tonic that may help relieve the bloating and spasms one can get after over-indulging. Add some ginger for extra digestive action, and, if you can’t access kawakawa, chamomile, fennel, licorice or lemon balm are all fabulous options. So there you go! I hope that’s enough to get your creative cooking juices flowing. If you make any of these dishes on Christmas day, please snap a pic and share them with me (just tag me @ascensionkitchen) because I’d LOVE to admire your work! Thanks for reading, enjoy and see you next week! 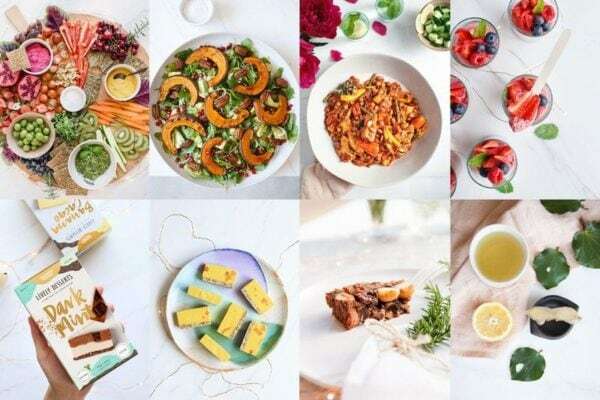 Sign up to my newsletter list below for weekly healthy, plant-based recipes and nutrition articles. And if you want to give back and really make my day, leave a comment below, I’d love to hear from you! Finally, you can share this recipe on facebook or via Instagram, or pin it for later. If you try it out, make sure you tag me @ascensionkitchen and #ascensionkitchen so I can see your creations. Thank you!